Gravity Flow version 2.0 is now available via auto-update and for download from the account area. This is a feature release that adds support for Gravity Forms 2.3, improvements to the User Input step, the inbox & workflow management, security enhancements and some important bug fixes. We recommend that customers upgrade to Gravity Flow 2.0 before upgrading to Gravity Forms 2.3. 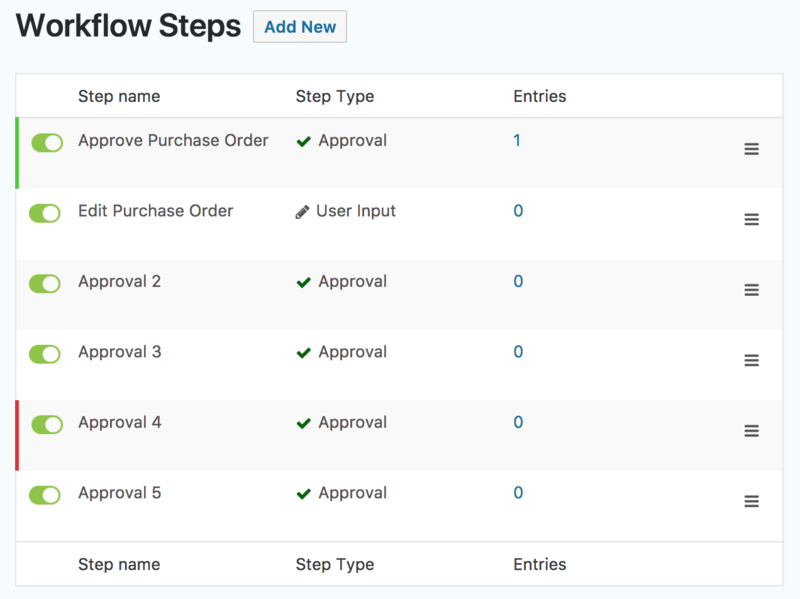 The new step highlight setting allows Gravity Flow administrators to make selected steps stand out in both the workflow inbox and the step list. Highlighting can be used to bring attention to important tasks and to help organise complex workflows. 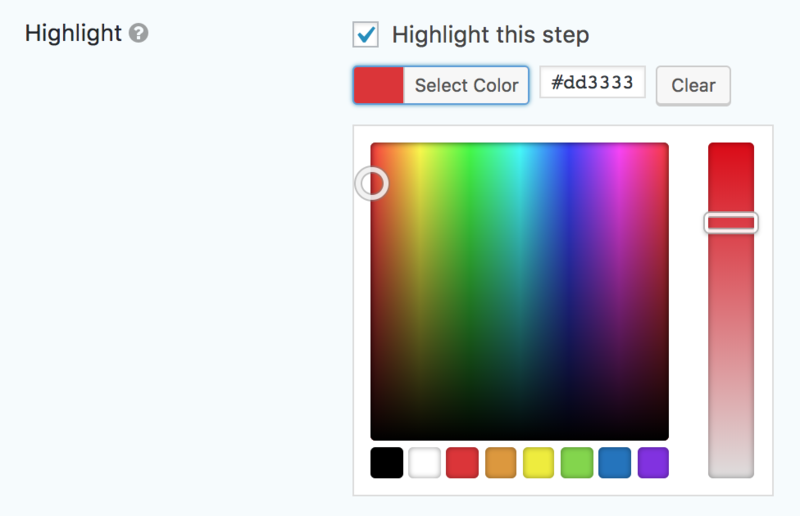 The highlight will be displayed in the step list which can make branches easier to follow. The highlight will also be displayed in the workflow inbox both in the shortcode on the frontend and the admin dashboard UI making it possible to bring attention to important or urgent tasks. The Save Progress setting on the User Input step now provides a different UI option which can be easier to use for some users and workflows. In addition to the “in progress” and “complete” radio buttons, administrators can now display “Save” and “Submit” buttons. Administrators can now display the workflow detail page for a specific entry directly with the new entry_id shortcode attribute. Added the highlight setting to all the step settings. 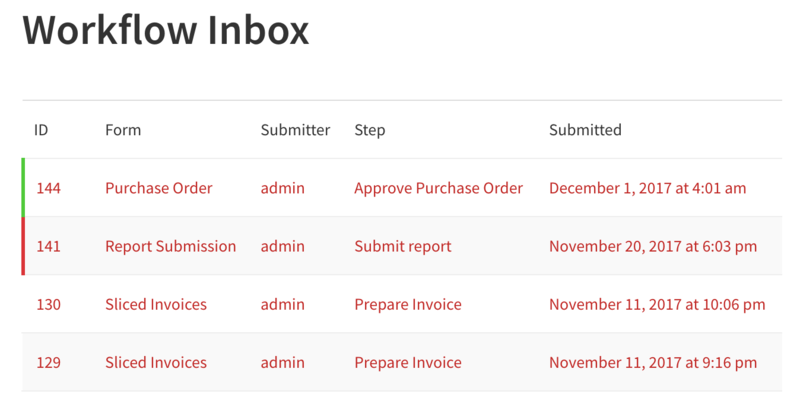 Added the sent status of a sliced invoice to the workflow detail page. Added support for “save” and “submit” buttons on the User Input step. Added the “View more” link to the discussion field for discussions with more than 10 messages. Updated to support Gravity Forms version 2.3. Fixed the HubSpot step for the “HubSpot for Gravity Forms” plugin versions 3.0+. Fixed a fatal error which could occur when processing the shortcode with the form attribute and the specified entry can’t be retrieved. Fixed an issue with the timeline notes for Approval and User Input steps where the step icon is used instead of the user avatar. Fixed an issue with the conditional logic for Section fields on the User Input step. Fixed an issue that step IDs in feed conditions weren’t updated after forms duplicated or imported.